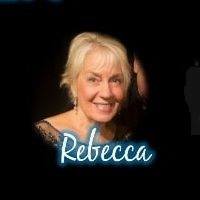 Rebecca Kilgore is one of America’s leading song stylists who finds particular delight in preserving and interpreting the music of the Great American Songbook. Rebecca Kilgore has over 40 recordings in her discography. Some of her most notable are with Dave Frishberg on piano. She has also teamed with him on long standing engagements in Portland, Oregon, where they both reside. She regularly performs worldwide at jazz festivals, jazz parties, and on jazz cruises. She is a frequent guest on National Public Radio’s ‘Fresh Air’ with Terry Gross, has appeared on ‘A Prairie Home Companion’, and with Michael Feinstein at Carnegie Hall. Other venues. New York: Feinstein’s at the Regency; New York: Birdland; San Francisco: The Plush Room at the York Hotel; Culver City, CA: The Jazz Bakery; Fullerton, CA: Steamers Jazz Club; Madison, NJ: Shanghai Jazz; LA: The Westin at LAX; Toledo, OH: Murphy’s Place; Ann Arbor, MI: The Firefly Club; Cincinnati, OH: The Blue Wisp; Southampton, UK: The Concorde Club; Sherman Oaks, CA: Spazio’s. She is honored to have been inducted (in 2010) to the Oregon Music Hall of Fame and to the Jazz Society of Oregon’s Hall Of Fame, and to have been invited to perform at New York’s Mabel Mercer Cabaret Convention for three years at Town Hall and Lincoln Center. She was the guest of honor at the 2013 Roswell (New Mexico) Jazz Festival. Vist Rebecca on the web at www.RebeccaKilgore.com.